The Kolkata Municipal Corporation invites application for engagement of contractual teachers for running different KMCP Schools purely on temporary basis in Education Department KMC. Preference will be given to the Candidates residing with the jurisdiction of Kolkata Municipal Corporation area who have completed 6 months Certificate on Computer Education from a recognised Institution approved by AICTE. 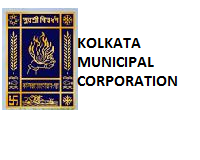 Recruiter: The Kolkata Municipal Corporation. Job Profile: Teachers on contractual basis. Important Dates: Last date to receive application is 17/04/17. Pay Scale : 10,000/- per month. Educational Eligibility : Only those candidates are eligible who have passed Higher Secondary passed in any stream or Graduate in any Discipline. selection will be on the basis of applicants performance in various rounds of selection. Application format (copy enclosed) duly filled in by the candidate alongwith with relevant documents must be submitted to the dropbox placed at Education Department, 1 Hogg street,2nd Floor, kolkata- 700 087 on or before 17/04/17.